US Senate Could Vote This Week on Amendment to Require Feds to Study Impact of Marijuana Legalization . The Senate could vote this week on an amendment to the Defense, Labor, Education, and Health and Human Services funding bill from Sen. Robert Melendez (D-NJ) that would direct those departments to contract with the National Academy of Sciences to study cannabis tax revenues, rates of medicinal use, and opioid overdose rates in states where marijuana is legal. The amendment is similar to a standalone bill filed in the House last month by Reps. Tulsi Gabbard (D-HA), Carlos Curbelo (D-FL), and others. North Dakota Cops Come Out Against Legalization Initiative . At its convention in Minot last Friday, the North Dakota Peace Officers Association approved a resolution opposing the state's marijuana legalization initiative . Police expressed concerns about drugged driving and "how at a high school football or soccer game someone can't smoke a tobacco cigarette, but they could smoke a marijuana cigarette." But initiative proponents said state smoking laws would apply to marijuana, too. Kofi Annan Dead at 80 . Former UN Secretary General Kofi Annan has died at age 80. 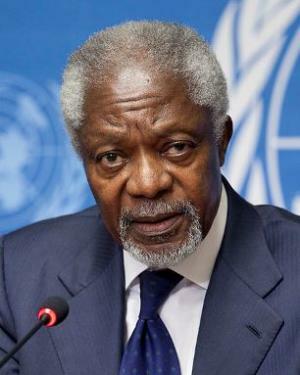 He was also a member of the Global Commission on Drug Policy, which issued the following statement on his death: "It is with deep sadness and a tremendous sense of loss that the members of the Global Commission on Drug Policy have learned of the passing of their esteemed colleague Kofi Annan today, Saturday, 18 August 2018. A former Secretary-General of the United Nations and Nobel Peace Prize Laureate, Commissioner Annan worked tirelessly for peace throughout his life, and addressed the many challenges confronting the world with wisdom and pragmatism. He initiated the move towards eradicating extreme poverty with the Millenium Development Goals and contributed considerably to the global response to HIV.Mr Annan convened the West Africa Commission on Drugs and remained a dedicated member of the Global Commission on Drug Policy. He was an ardent advocate for a more humane approach to drug control, stating: "I believe that drugs have destroyed many lives, but wrong government policies have destroyed many more." In his work with the Commission, he displayed the same commitment to protect the dignity, health and human rights of all. Mr Annan will be forever remembered for his contribution to global peace and his profound love and dedication to humanity. The members of the Global Commission on Drug Policy join millions around the world in honoring his memory and express their deep condolences to his family for this great loss."